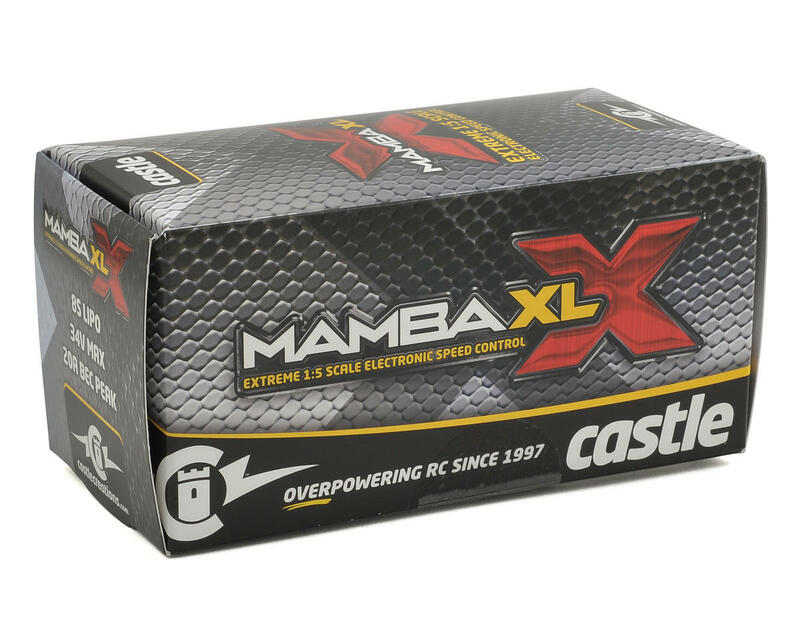 Castle's Mamba XL X is a high-performance 1/5 scale ESC for RC vehicles weighing up to 30 lbs. 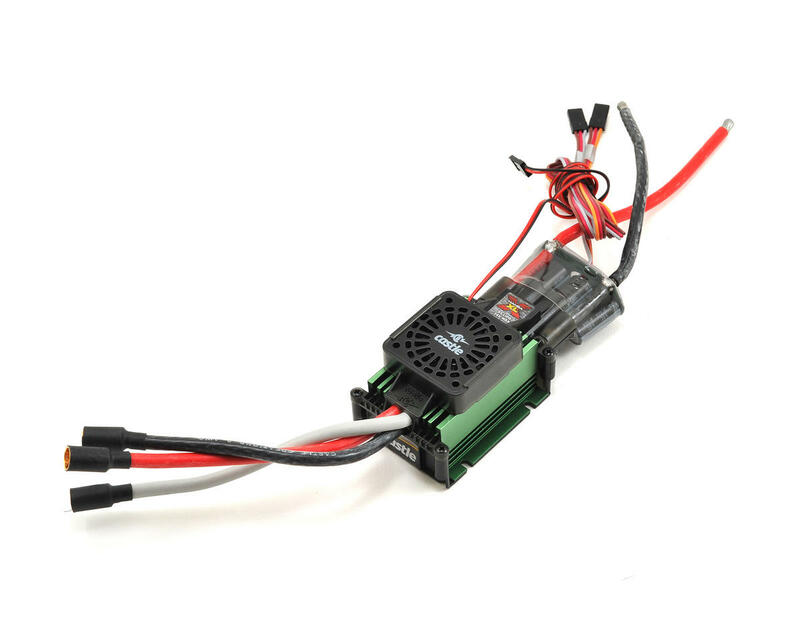 When paired with the 2028-800kv Extreme motor (not included), this duo becomes the perfect combination for large-scale, ultra-high-performance RC vehicles. Have you ever seen a 1/5th scale Baja doing 70 mph? If you’ve got the traction, this Castle combination can get you there. The features of this recently revamped ESC will prove this supercharged combo will provide all of the brains and brawn needed to OVERPOWER your 1/5th scale rig.